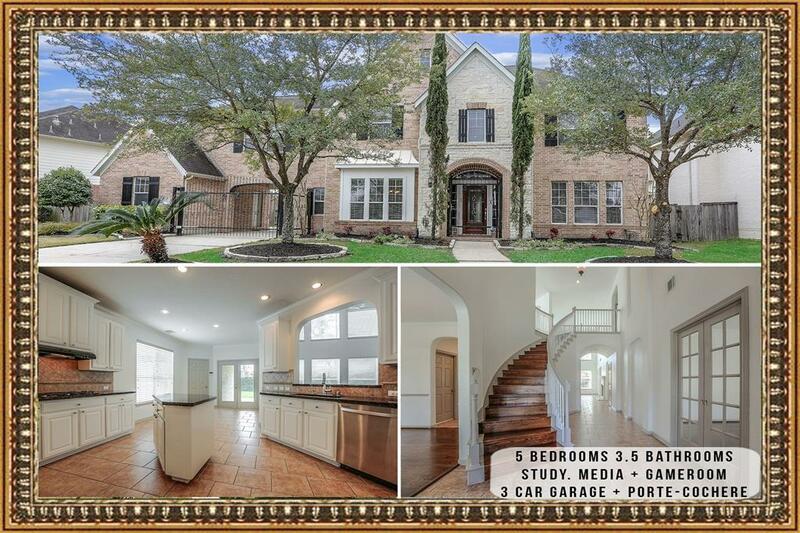 FABULOUS OPEN FLOOR PLAN NEWMARK HOME features 5 BEDROOMS, dramatic entry with soaring ceilings, STUDY with French doors, FORMAL DINING Room, BUTLERS PANTRY. 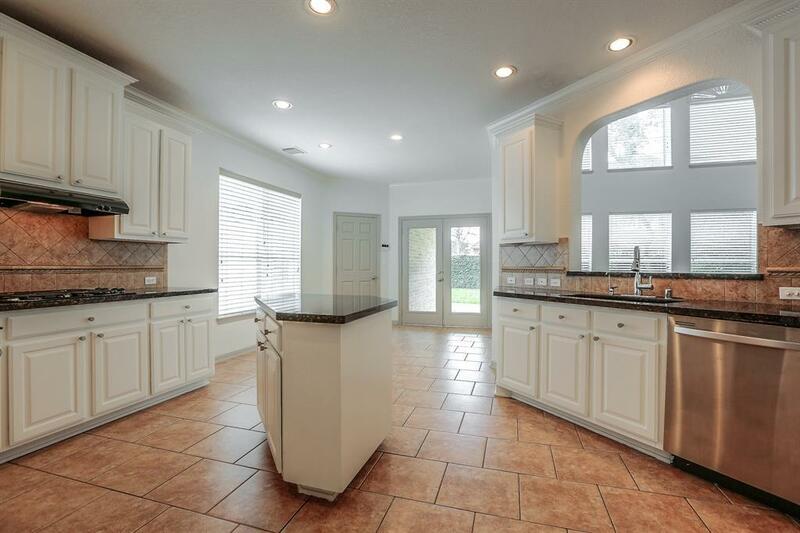 GOURMET ISLAND KITCHEN with abundance of cabinets, granite countertops, gas cooktop. Spacious LIVING ROOM with high ceilings, cozy fireplace and walls of windows. Master downstairs, with luxury bath & XXL closets. Extra large GAMEROOM + separate MEDIA ROOM and 4 secondary bedrooms upstairs. 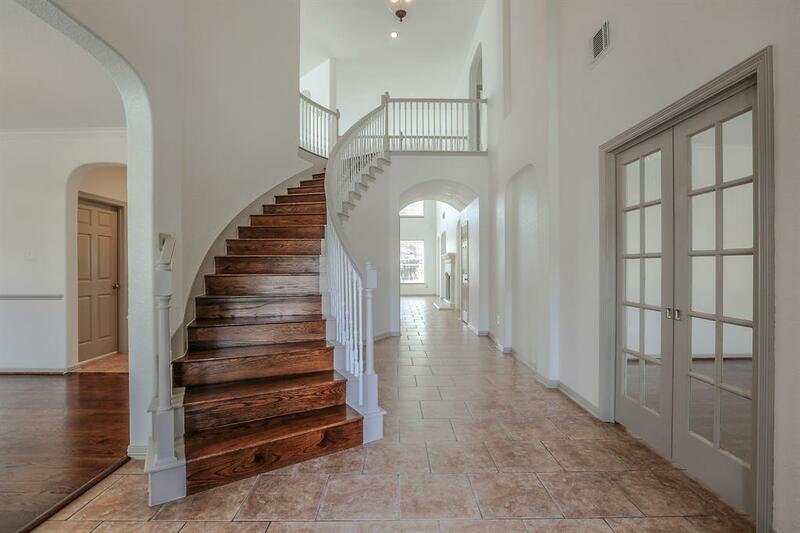 Hardwood, and Tile floors in all the living areas, as well as the Master and one secondary bedroom. Iron driveway gate leads to 3 car garage and porte-cochere. Private backyard with covered patio. Stone and brick elevation. 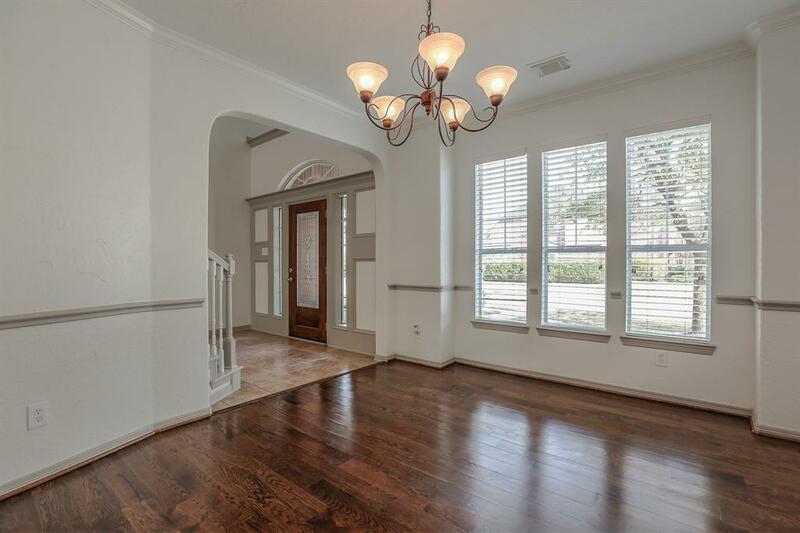 Home conveniently located near shopping, easy access to Beltway 8/Hwy 59, stones throw away to Golf Club of Houston! A home you'll love living in as well as showing off. THIS HOME HAS IT ALL!